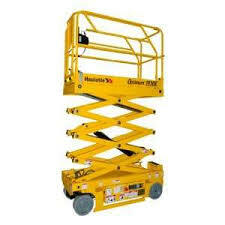 This lift is only meant for use on hard surfaces…. 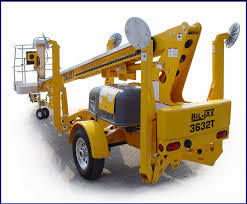 This unit has a battery operated hydraulic lifting action. You must push the unit by hand to set it in position. Unit weight is approximately 1400 lbs…. Extends to put your feet at 37′….